Thomas Cathcart and Daniel Klein first made a name for themselves with the outrageously funny New York Times bestseller Plato and a Platypus Walk into a Bar.... Now they turn their attention to the Big "D" and share the timeless wisdom of the great philosophers, theologians, psychotherapists, and wiseguys. From angels to zombies and everything in between, Cathcart and Klein offer a fearless and irreverent history of how we approach death, why we embrace life, and whether there really is a hereafter. 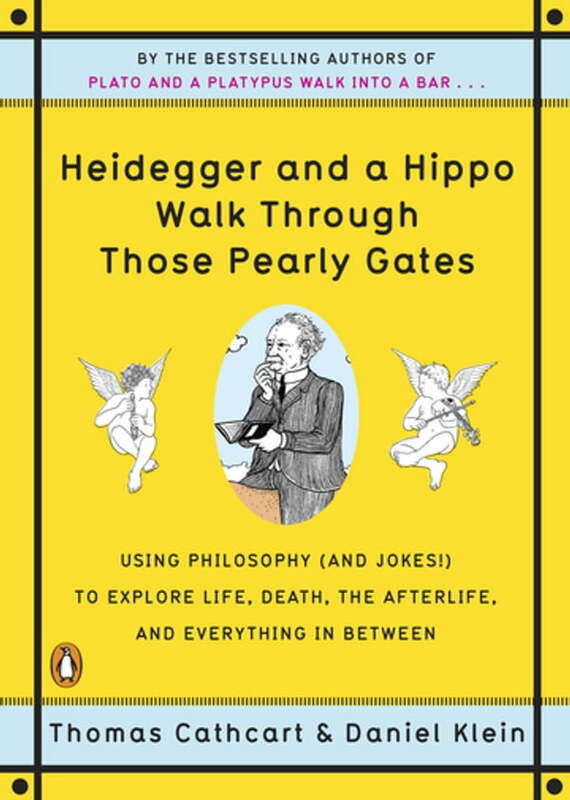 As hilarious as it is enlightening, Heidegger and a Hippo Walk Through Those Pearly Gates is a must-read for anyone and everyone who ever expects to die.